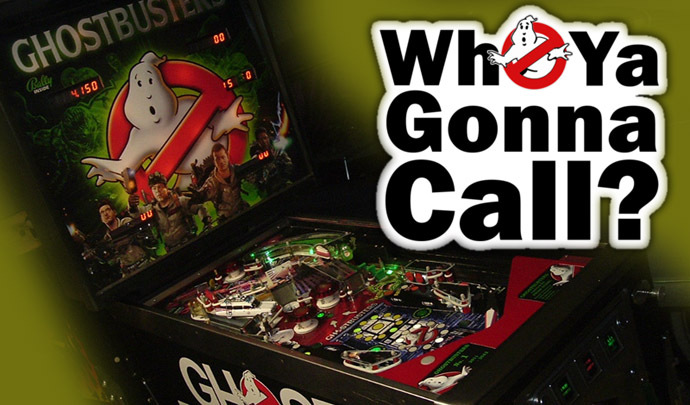 When there’s something strange in the pinball neighborhood, who you gonna call? Well, if it has to do with a custom Ghostbusters pinball machine, then you should probably call Brian Stahl. Stahl, who goes by username “Betelgeuse” on RGP and Pinside forums, worked for over 14 months creating this custom conversion. Starting with a heavily worn Flash Gordon pinball machine, Stahl sanded, painted, printed, and programmed until he ended up with a fully-working ultimate tribute to the 1984 classic movie. This is all pretty impressive for someone who isn’t a professional electronics engineer or full-time graphic designer. According to Brian, he’s just a “bean-counter” with a passion for pinball. Well, i’m not an electronics engineer or anything. I did focus in graphic design back in school. I got pretty good with Photoshop and I have done countless pro-bono flyer, signage, newsletter and website jobs over the years (including for the Pittsburgh Pinball League). Aside from that I have just been fixing and maintaining my own collection of games for the last 6+ years. Simply awesome, would have been an superb title to really make.